After the debacle of Windows Vista, it seems Microsoft is onto a winner with Windows 7 with the OS selling over 350m licenses since its release in October 2009. In a blog post on Friday, Microsoft shared the figure that comes just 18 months after Windows 7’s release. 18 months ago to this day was when we launched Windows 7 and with that we’ve hit another important milestone: we are pleased to announce that Windows 7 has sold more than 350 million licenses. The momentum we’ve seen and continue to see with Windows 7 is incredible. We are seeing good momentum with Internet Explorer 9 as well! We designed Internet Explorer 9 to provide the best way to experience the Web on Windows and we are delighted to see partners like Groupon, Slacker, Hulu, and eBay already creating great experiences for their customers. The post also goes on to say that currently 90% of businesses are currently in the process of migrating to Windows 7 – a stark contrast to the way businesses and consumers alike did their level best to avoid upgrading to Vista. Has, dare we say it, Microsoft learned from its mistakes? Possibly, and with Windows 8 shaping up to be a great addition to the Windows family the future’s looking bright for the boys from Redmond. 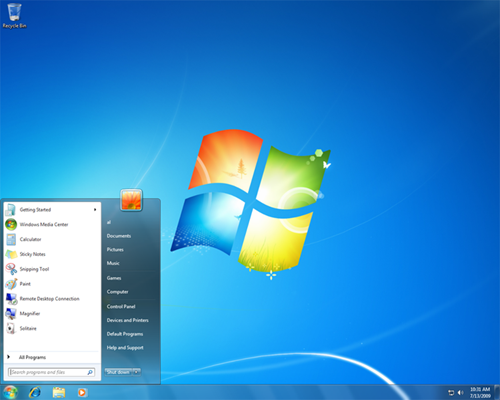 Windows 7 Becomes Microsoft’s Fastest Selling OS in History!